Be careful what you go to bed with. If you have a mattress you haven’t changed in years and you don’t wash your bedding every week in hot water, chances are high your bed is home to dust mites. In that case, you might be providing these microscopic creatures with everything they need –a soft, warm and humid place to live plus regular meals in the form of skin flakes you shed daily. Sounds gross, doesn’t it? That’s ‘cause it is. Dust mites live in colonies and thrive best in hot humid climates. If you live in a dry climate, it’s less likely you have these bedmates. It has been said that if your home is full of static electricity that’s a sign of their absence. 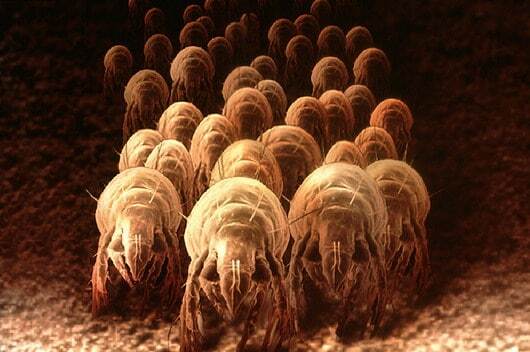 Most people go through life never learning about the existence of dust mites. But, with one quarter of Americans being allergy sufferers and two thirds of those being allergic to mites, it becomes clear that hypoallergenic bedding is necessary for many. Do you sneeze repeatedly first thing in the morning? Do your eyes feel itchy when you wake up? Do you suffer from frequent sinus headaches? If you answered only one of these questions positively, you should pay a visit to an allergist or otolaryngologist. If you have children, bring them along. Dust mite sensitivity is very wide-spread in children and can lead to asthma. If it so happens that you are allergic to dust mites, the one thing you can do for yourself is reduce the exposure. The American Academy of Allergy, Asthma and Immunology and the National Heart, Lung and Blood Institute recommend patients with asthma and dust mite allergy to use hypoallergenic or allergen-free encasings for their beds, which has proven successful in relieving symptoms. 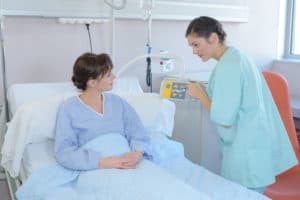 Natural hypoallergenic materials are the best, because some studies have found that chemically-treated beddings that advertise as allergen-proof could cause asthmalike symptoms as well. Natural latex mattresses are an excellent choice as they present an inhospitable environment for mites. If you cannot consider buying a new mattress, then you should invest in some allergen-proof encasings. They are woven very thickly which keeps mites away. Give new pillows a serious thought – since they are major collectors of dust mite feces as well. We haven’t mentioned that already, as it just sounds more disgusting, but it is the dust mite feces people get allergic to. Over a period of 2 years, your pillow can accumulate up to 2 pounds of mite excrements. Yuck! Apart from a latex mattress and hypoallergenic encasings, a good preventive is washing your linen, together with comforters and covers, in hot water once a week and drying them in a hot dryer. If you spill any liquid on your duvet or comforter, it might be best to replace them. Otherwise you could be risking getting mold or mildew which would only make matters worse. 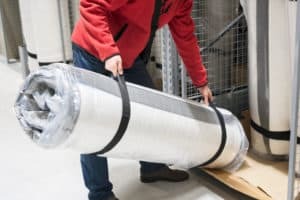 Mattresses should be cleaned late in winter or early in spring, because that significantly reduces their numbers before the hot months come. For the most severe symptoms, it would be recommendable to remove carpets and fabric drapes out of the bedroom. Mites can take up residence in carpets and drapes, but luckily not on hard and plastic surfaces.